Riots in Brazil. Riots in Sweden. Riots in Turkey. A popular revolution in Egypt now turned sour and the new leadership, placed in power by popular protest, facing popular protest of its own. This week began with a fresh round of protests of renewed vigor and greater numbers (cf. Egypt Morsi: Mass political protests grip cities and Brazil protests resume ahead of Confederations Cup final). What’s going on? Do these protests represent an unprecedented global popular movement, or a mere coincidence, or is there some contingent relationship among the protests that is more than coincidence but less than the principled unity of a political movement? In short, are the protests one or many? Such events as those in Egypt are not unprecedented, which implies the predictability of such popular unrest. The “People Power” revolution in the Philippines in 1986 ended the decades-long rule of Ferdinand Marcos and installed Corazon Aquino as president of the Philippines. However, it was not long before Malacañang Palace was the focus of popular protests against Corazon Aquino, but an historical parallel like this poses as many or more problems as the comparisons of civil unrest across contemporaneous nation-states, which is in itself problematic. Of course, a detailed examination of political protests will always reveal unique conditions in each county where the protests occur, with unique historical antecedents to unique events in the present, so that any argument for an underlying unity of globally-distributed protests is prima facie implausible. But while every historical event is unique, individual acts of protest can take on a symbolic value that is not unique, as with the self-immolation of Mohamed Bouazizi, which proved to be the trigger for popular protests that became the Jasmine Revolution and resulted in the fall of the government of Zine El Abidine Ben Ali. What is true across Tunisian society might plausibly also be true across broader swathes of society, potentially even becoming a transnational trigger. However, there are countervailing historical circumstances that suggest the plausibility if not of a globally unified movement, of a contingently unified manifestation of discontents intrinsic to industrially developing societies. (Several commentators on the protests in Brazil have said that the people of Brazil feel unconnected to the major political parties in the country. In other words, Brazil is a lot like the US, where popular protests on the right agitated by the Tea Party movement and popular protests on the left agitated by the Occupy movement each have a vague ideological content that seems to match up with existing political parties, but no robust party loyalties.) It has become a commonplace that social media has made communication global and instantaneous, and indeed this was foreseen in the earlier idiom predicting a “global village” — though it would have been more accurate to speak in terms of a global conurbation, or what Doxiadis called Ecumenopolis. In contemporary terms this global immediacy of communication has concrete consequences: except for cases where governments radically restrict social media, as in China and North Korea, people know what is going on elsewhere in the world. However, it would be unwise to read too much into the “know” in the previous sentence. The fact of the matter is that people see emotionally charged images, often accompanied with stirring slogans, and they respond viscerally to this. Such images are sometimes called “memes” and are said to “go viral” when they are passed around through social media networks to the point of saturation — i.e., to the point that everyone who uses the internet is likely to have seen these images at some time or another. this we may call the emotional valorization of protest. The intellectual or ideological valorization of protest is to be found in the parallel justifications that are made for protest as the need for rationalization is felt. Protest is defended on the basis of its being non-violent resistance, and the work and the lives of Henry David Thoreau, Mohandas Gandhi, and Martin Luther King jr. are invoked in defense of popular protest, no matter how marginal or unjustified the occasion of protest. But to what extent is popular protest non-violent? One of the central dishonesties of our time is our ambiguity about violence, which is on the one hand sometimes minimized, while on the other hand it is sometimes magnified. The perpetrators of violence minimize their violence, and claim to be responding to the provocations of their victims, while the victims of violence magnify the violence they experience and employ their victimization as a political strategy in the furtherance of their ends. In all honesty we should admit that protest marches often occupy a gray area between peaceableness and violence, and once a protest has begun it often shades over into violence; sometimes the violence of “peaceful” protests takes the form of systematic attempts to bait police and crowd control officers into responding to provocations in a manner that can then be magnified for the maximum political effect (as just noted above). Exemplary protest, like exemplary justice, has a symbolic value, and this symbol is employed as a tool of political action. A symbol can be the trigger for wider spontaneous action, or it can be systematically exploited by a revolutionary cadre seeking to foment wider action. In precipitating an event that can be transformed into a symbol, protesters create their own propaganda — the propaganda of the deed, as it was once called. The woman in a red dress being sprayed with pepper spray by Turkish police was among the viral images that rapidly gained global prominence in social media. A protest, then, is always potentially an instrument of mob violence. Moreover, there is no clear line between protest and revolution; the two are separated by a gray area just as peaceful and violent protest are separated by a gray area. An attempted revolution can fizzle into a mere protest, while a protest can snowball, gathering strength and momentum, until it becomes a kind of revolution. Peaceful protest that escalates into violent protest can, if sustained, escalate in turn into revolution. Short of revolution, social unrest and violence that begins in protest can bear some resemblance to the ritualistic rebellions of medieval peasantry, and repressive regimes may tolerate ritualized protest for its cathartic effects. Established political institutions may be little affected by the waves of protest that wash over it, and which recede like the tide when the storm is over. One thinks in this connection of the Chinese protests over the US bombing of the Chinese embassy in Belgrade. In such cases popular protests putatively in opposition to a given regime play into the hands of state power, which benefits from the release of social tensions. The Guy Fawlkes mask from the film V for Vendetta has become a globally recognized symbol of protest. Clausewitz has been quoted innumerable times to the effect that war is the pursuit of politics by other means. I have also written about Foucault’s corollary to Clausewitz, which is that politics is the pursuit of war by other means. Clausewitz’s principle and Foucault’s corollary constitute explicit and formal recognition of the convertibility of politics and warfare. There is also an implicit and informal parallel to Clausewitz’s principle and Foucault’s corollary, and this is the practical escalation of political protest into violent revolution (the implicit continuity of popular politics with popular revolution) and the use of popular revolution to obtain social concessions (the implicit continuity of popular revolution with popular politics). The explicit formulations of Clausewitz’s principle and Foucault’s corollary are useful for understanding the explicit, formalized politics of established political entities; the implicit formulations are useful for understanding the implicit, informal politics of mass movements. The two are related to each other as explicit social contract to implicit social contract. This parallelism shows us that the valorization of protest is a parallel to the valorization of the martial virtues in explicit formulations of Clausewitz’s principle. It is easy to ridicule the explicit manifestations of state power such as the praise of military valor and the awarding of medals for such valor, yet all of this is precisely parallel to the implicit manifestations of popular power, such as the lionization of courageous protest and the de facto social recognition of the value of this protest. 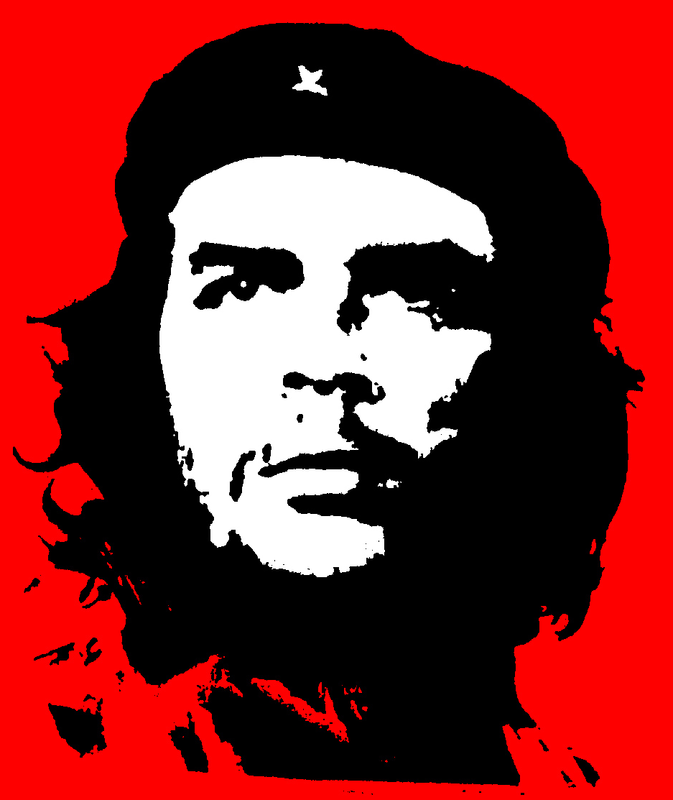 Before social media in its electronic form, the Korda image of Che Guevara became a globally recognized icon merchandised on T-shirts, posters, and every imaginable kind of paraphernalia. While tyrants can be made to pay for their crimes by their deaths in paradigm cases of exemplary justice, as with Nicolae Ceaușescu and Muammar Gaddafi (to name a couple of prominent examples from my life time), the diffusion of responsibility found in the collective action of large groups (i.e., a mob) usually means that no individual takes (or can take) responsibility for the death and destruction. This problem needs to be openly acknowledged, if popular sovereignty is not to degenerate into mobocracy.